The guide reflects the state's Model Water Efficient Landscape Ordinance standards and explains the principles of a WaterSmart landscape - water-efficient Design and rrigation, climate-appropriate Plants, and best aintenance practices (DIPM). 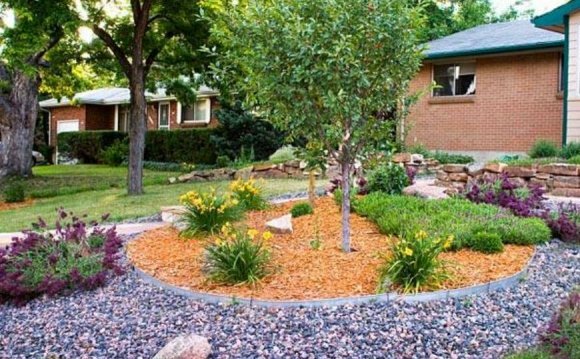 The benefits of a water-efficient landscape – enhancing property appearance, reducing maintenance, minimizing water pollution due to runoff, and conserving water – are well worth the effort! This guide is the perfect tool for do-it-yourself homeowners who want to ensure their lush and beautiful landscapes stand the test of time in San Diego County’s Mediterranean climate. In addition to helping homeowners meet new water-efficiency standards, this guide will help homeowners make smart choices to reduce outdoor water use by designing vibrant, flourishing and naturally beautiful landscapes that are appropriate for the San Diego region. To view a flip book of the guide, click here. (PDF version). WaterSmart landscapes can be beautiful, as shown in this Mediterranean-style garden. The guide uses a case study to illustrate the above steps and incorporates a project budget. It also includes a list of resources related to outdoor water conservation and a WaterSmart plant list. The Water Authority hosted a neighborhood gathering to promote the guide at the home of Bill and Vannete Wirant. The Wirants converted their yard into a landscape that reflects the design, irrigation, and other principles included in the guide, and the new landscape has helped cut their home’s water consumption by nearly 50 percent.